It was a tale of two very different fashion scenarios this weekend. Friday saw me heading to the Culloden Hotel as a guest of ASG Ireland for the Chartered Institute of PR Awards. I'd bought a long black dress to wear but took a last minute dislike to it and ended up racing up to my neighbour about an hour before my taxi arrived. She gave me this fabulous black dress from JS Collection (past season) with a lace bust detail and sheer sleeves and back. It fitted like a glove and looked suitably glam for the occasion. I wore my black ankle strap sandals from Heatons (past season), a clutch bag from DP's and jewellery from my shop. 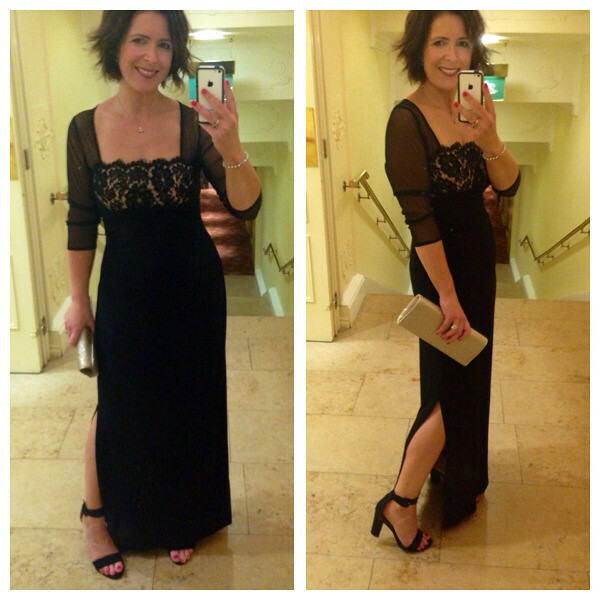 There's a similar dress in Debenhams on this link. I have to thank everyone for the lovely comments when I posted photos from the night on Instagram and Facebook. I'd been quite unwell overnight Thursday into Friday and was not feeling great when I arrived at the event but all the comments and the great company at my table helped to make the evening really enjoyable. On Saturday it was back to porridge with the usual running about with the kids. 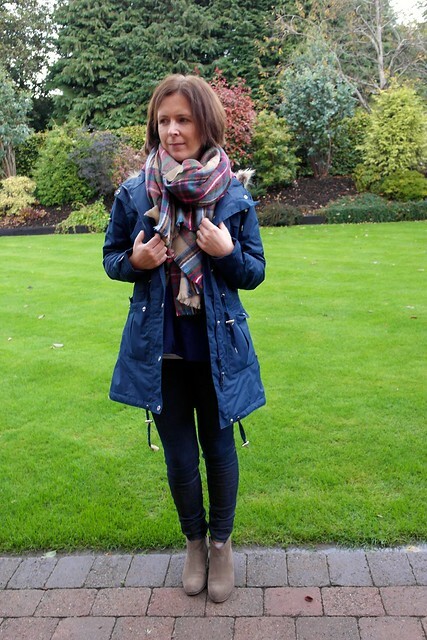 I reverted back to a favourite outfit from a week ago. 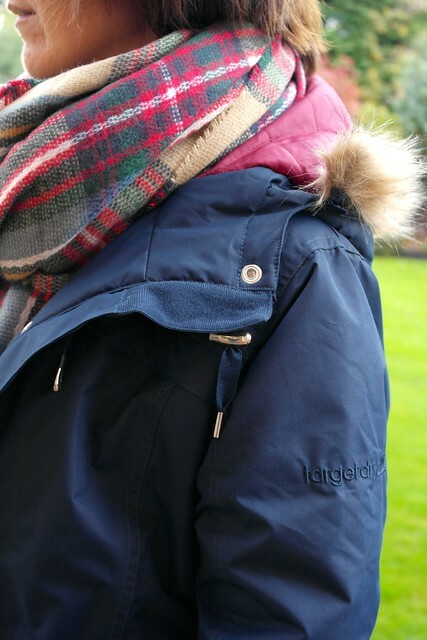 With a run to the farm for a birthday party drop off, I needed to be cosy and ready for showers. While my daughter was at the party, I had a quick look in a nearby shopping centre - there was a definite burgundy theme. 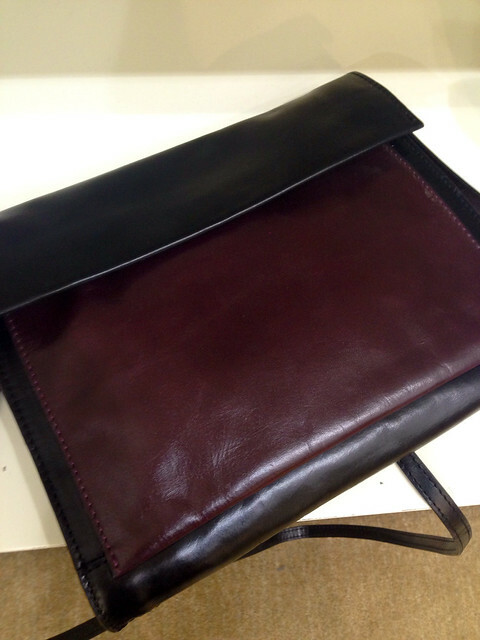 This black & burgundy cross-body bag from Clarks is stunning in real life - gorgeous leather and a great size. It has a wrist strap so can be worn as a clutch also. 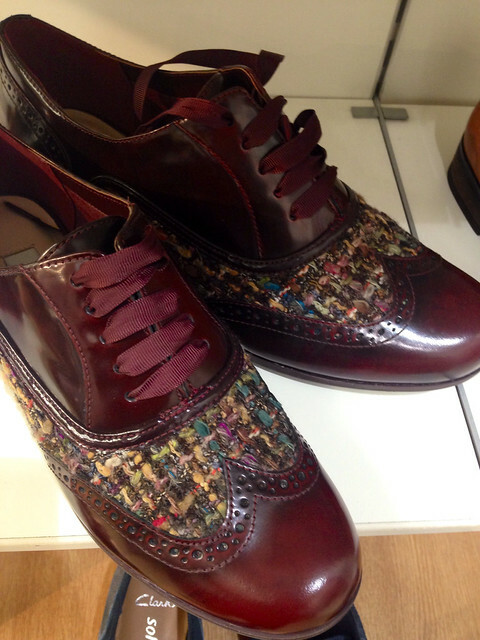 I'd seen these burgundy brogues on Instagram and was keen to check them out in real life.. 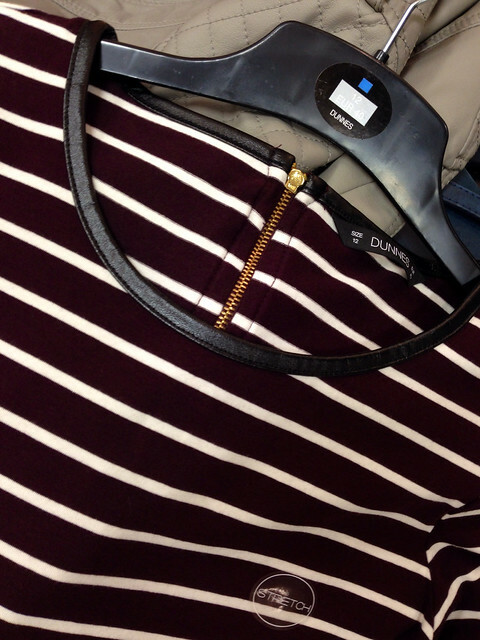 Finally, I've been keeping an eye out for a burgundy breton and this beauty from Dunnes Stores caught my eye. The material is a lovely weight and has a great stretch but it's the pleather trim and rear zip that makes it a fab buy for £10 - unfortunately not available online. I might have picked up something else in Dunnes that was on my wish list - photos to follow! When I was in Ireland, we had to make an emergency run to the Dunnes store for wipes and diapers, and I walked in there all agog--look at the clothing--the groceries--the beauty supplies. Unfortunately I had to get back to take care of the baby, but ooh, it was a sight to behold. I am not one bit surprised that darling top was there. So cute! Those clarks shoes have linton tweed in them! That's awesome. I bought a couple yards of tweed from them for a classic jacket that I hope to sew before the spring, and they made a really big deal of those shoes on their site. They are so cute! The brogues are amazing! And your Friday night outfit looks lovely. 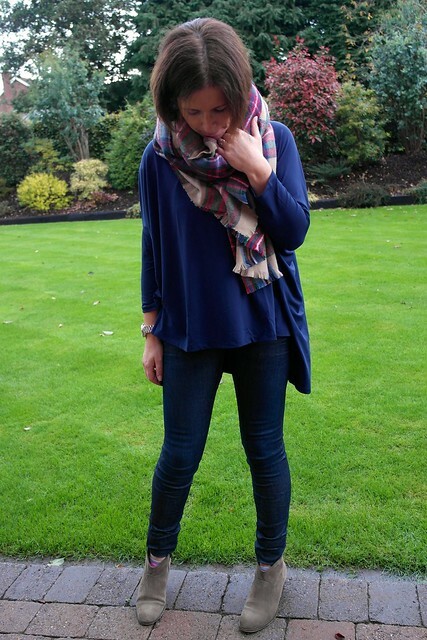 Love the slouchy blue top you're wearing here. Where's it from?